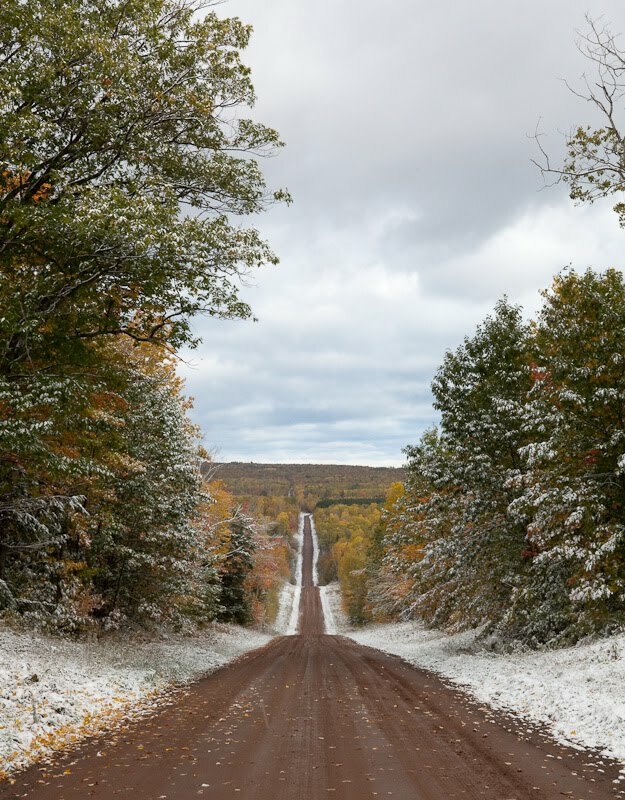 While we were in Northern Wisconsin (with a brief detour to Minnesota) last month for our anniversary Dale took a great many gorgeous postcard shots so I grabbed up my favorites and put them together in this post! Above is Lake Superior. We both love old signs painted on brick buildings–doesn’t everyone? 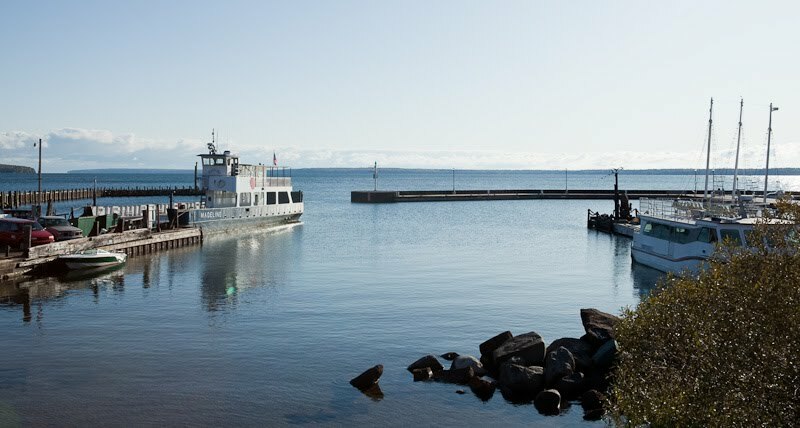 This one is in Two Harbors, Minnesota! This trip marked another big milestone–my first trip to Minnesota. Two thumbs way up! I loved it. 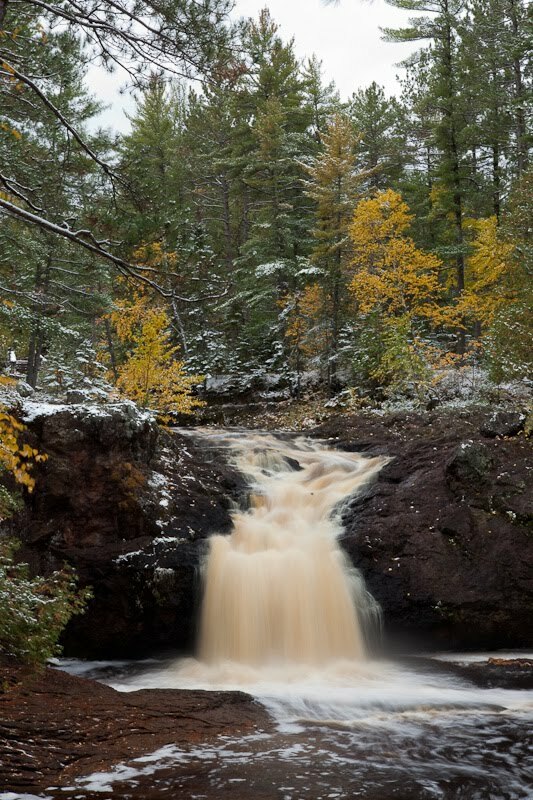 We took a few long drives–one to Minnesota to circle around Lake Superior–and came upon Amnicon Falls State Park in Wisconsin. It was very beautiful–and cold! 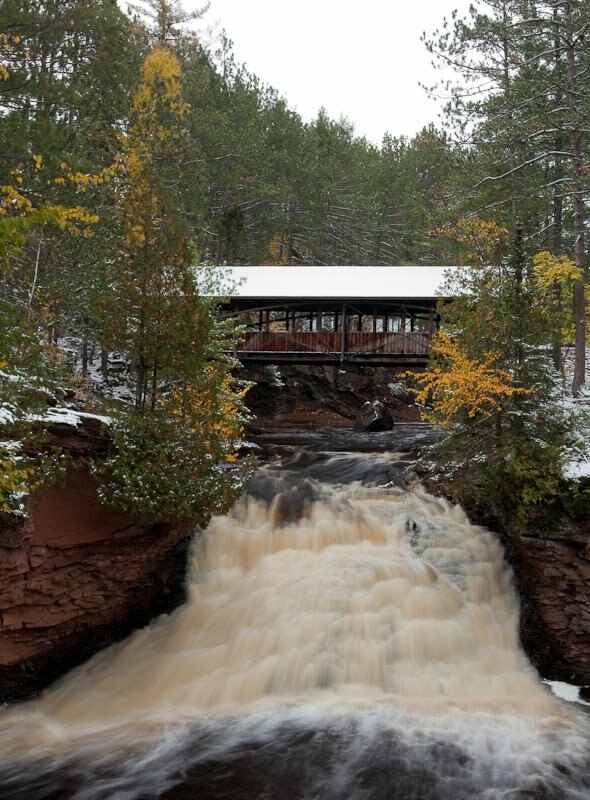 I especially liked the little covered bridge that goes over the falls. We also saw Cooper Falls State Park, and that had a lovely trail wrapping around some very pretty waterfalls. Dale hasn’t given me all his pictures yet so maybe I’ll post those later. 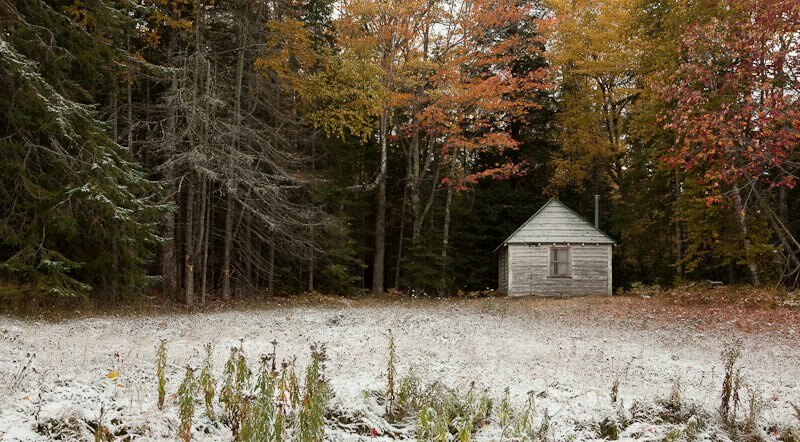 I love little buildings all alone set off next to a country road. And this one is particularly cute. 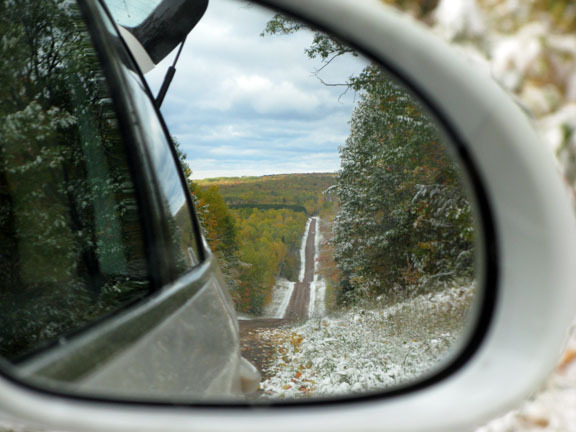 Finally, driving through the Chequamegon-Nicolet National Forest we looked behind us to see quite the winding country road. I also tried my hand at some postcard shots. 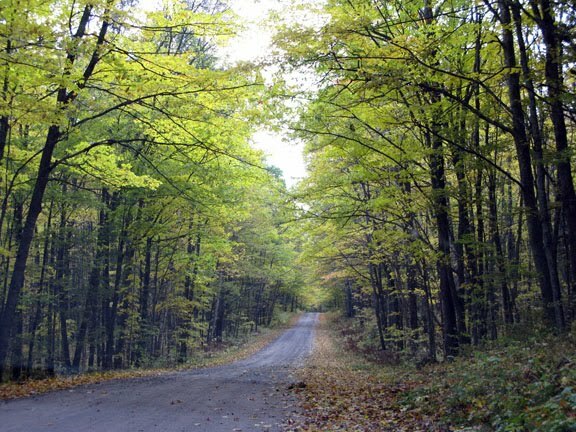 This one was taken on some country road in Wisconsin–probably in the national forest. This is my favorite! 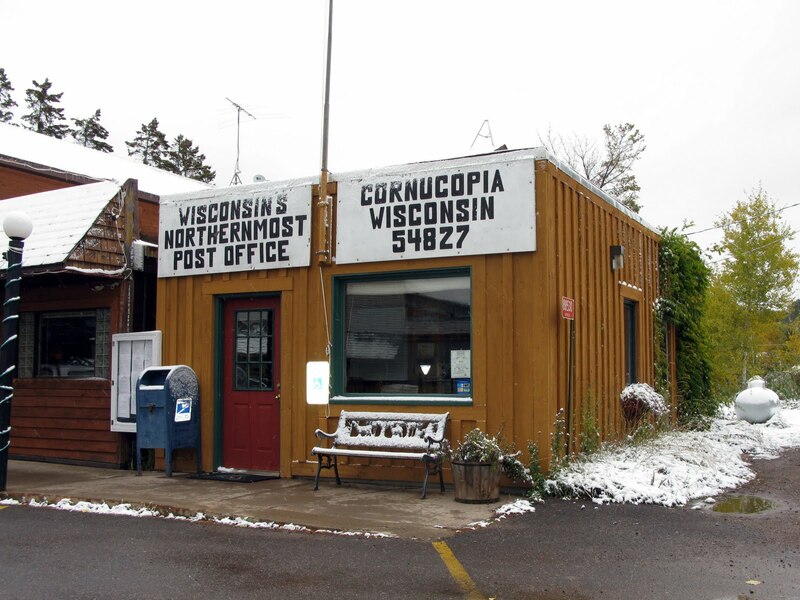 I love this tiny post office and its proud declaration of being Northernmost! 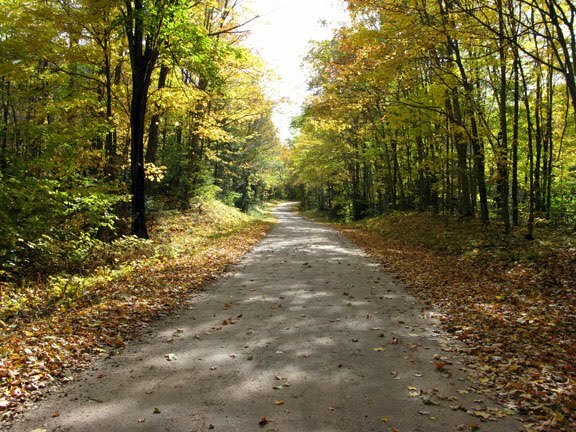 And here’s my version of this crazy long country road we drove on. Sure it seems artsy but really I was just too cold to get out of the car.